As of Sunday (Apr. 14), there’s a top team in the world when it comes to competitive FIFA. That team is none other than France. Their impressive duo of gaming stars conquered the rest of the field in the inaugural FIFA eNations Cup 2019 results. Here are more details on their exciting win in London during Sunday’s eNations Cup finale. 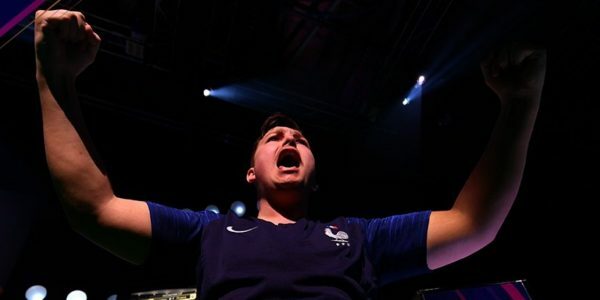 The pairing of “Maestro” and “Daxe” captured the big victory in London, England on the final day of FIFA eNations Cup action. The stellar gamers were able to defeat Argentina in the deciding matchup to capture the inaugural title. Daxe secured the win for Team France by defeating “Yagocai” in the Xbox 1v1 part of the competition. Sunday’s final day featured a number of groups with teams needing to secure places in the knockout stage. Only Argentina and Brazil had managed to get spots in the knockout portion of the competition, but France was one of the two teams to emerge from Group A. The final four would come down to Denmark, France, Portugal, and Argentina. Ultimately, France and Argentina advanced to the grand finale. PlayStation’s top-ranked competitor “Nicolas99fc” was able to defeat “Marcuzo” by a final of 3-2. His teammate “Yagocai” defeated “Ustun,” also 3-2 as the strong South American team advanced. With the help on the virtual pitch from Kylian Mbappe, Team France picked up a victory over Team Portugal to get into the final matchup. As the finals unfolded, it was gamer Nicolas99FC versus Maestro on the PlayStation for the first leg of their matchup. Things would end in a 1-1 draw which meant the second leg would produce a winning side. France’s Daxe was able to get in front of his opponent Yagocai early on thanks to Kylian Mbappe’s goal-scoring abilities. He’d end up with a comfortable lead after the half and ultimately pulled away for the win. The inaugural eNations Cup was part of the FIFA eWorld Cup 2019 competitions and featured 20 nations from six different confederations. This was the first time players represented their specific countries in a competitive nature like this. It included a who’s who of some of the world’s top players including “F2Tekkz,” “MSDossary,” and “Nicolas99FC.” However, only one team was left standing as champions. Congratulations to Team France! Get more of the latest news, information, and game help at our FIFA page.